Spain 1-3 Sweden Stina Blackstenius scored two first-half goals and set up a late clincher as Sweden claimed the WU19 EURO title in Israel. • Sweden are WU19 EURO champions for the second time! • Coach reaction: Calle Barrling hails Sweden's "polished diamonds"
Stina Blackstenius struck twice in nine first-half minutes to cap a memorable campaign from Calle Barrling's team in the best possible fashion, inspiring Sweden to their second WU19 EURO title. The Linköping forward has been the standout player throughout in Israel, and underlined her pre-eminence in a scintillating 25-minute spell either side of the interval. Unstoppable on the ball, Blackstenius's two aerial goals put Sweden in the driving seat and though Sandra Hernández halved the deficit, Filippa Angeldal made sure late on – with Blackstenius the provider, of course. "We couldn't deal with their No9," Maren Meinert said after her Germany team lost to Sweden in the semis – a refrain that has become commonplace over the past two years. In Netanya, it was louder than ever. 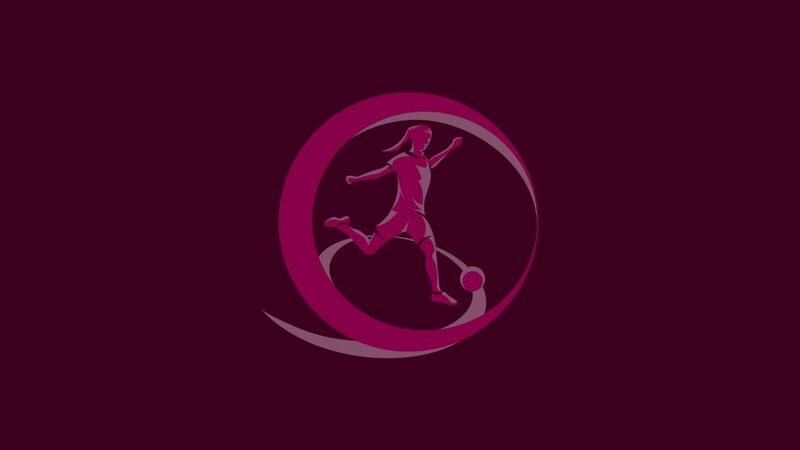 Spain were on top when Blackstenius announced her presence on 24 minutes with a barnstorming run that left Marta Turmo and Rocío Gálvez in her wake before she lifted the ball over Elena De Toro and onto the roof of the net. The final-record 7,320 crowd collectively nodded in approval – they had neck ache by half-time. Four minutes later came the breakthrough as Blackstenius rose above Gálvez at the far post to bundle in Ronja Aronsson's corner. For a spell she was rampant, every bit the "animal" Sweden captain Nathalie Björn had billed her on the eve of the game. Spain could not touch her, with red shirts strewn across the turf after her runs. It was soon 2-0, but credit was at least shared by Tove Almqvist, who weaved her way to the corner of the box before delivering a pinpoint cross that Blackstenius – who else? – met with a diving header. Half-time did not immediately stem the tide, with Nuria Garrote left for dead soon after the restart. But slowly Spain regained their poise and control, with Jorge Vilda sacrificing a forward for a midfielder to turn the screw. Ten minutes from time there was hope as Sandra headed in Garrote's well-weighted cross from point-blank range. Nerves jangled but not for Blackstenius as she surged down the inside-left channel before pulling the ball back for Angeldal to drive in. U21 EURO champions in June, Sweden have now added the WU19 EURO. Lina Lehtovaara describes the many ups and occasional downs of a final tournament referee as she prepares to take charge of the 2015 WU19 EURO decider. Which of the Sweden squad is the sun worshipper, who has to look perfect, what is Calle Barrling really like and who is an animal? Captain Nathalie Björn spills the beans. A keeper whose hair signals her mood, a selfie queen, the team DJ, crazy twin and a gannet with an annoying laugh – Sandra Hernández lifts the lid on her team-mates.